The NuPrime uDSD was actually launched a while ago so my apologies for getting this one out a bit later than I expected. That being said, for those looking for a compact DAC/Amp solution, this is exactly the kind of device that should be on your purchasing radar. NuPrime has been pushing the envelope in the last few years with some fantastic products but it is the uDSD that brings back a lot of memories for me personally. 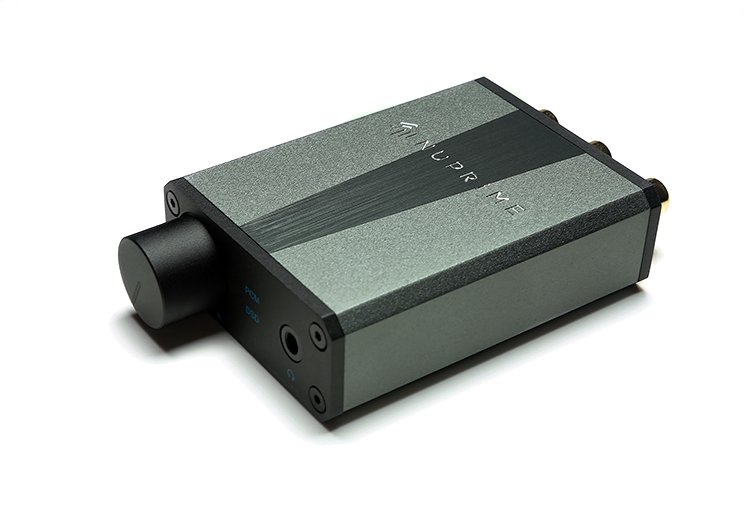 It was Jason’s former company, NuPrime, and their very popular uDAC, that really started my move from home cinema to portable desktop and headphone audio decoding many years ago. The uDSD takes that legacy and beefs up everything, from the codecs, the power, and functionality and still keeps the ticket price really low at $179. I hesitate to call this your first serious upgrade because it will appeal to a much bigger audience than the simple first timers. 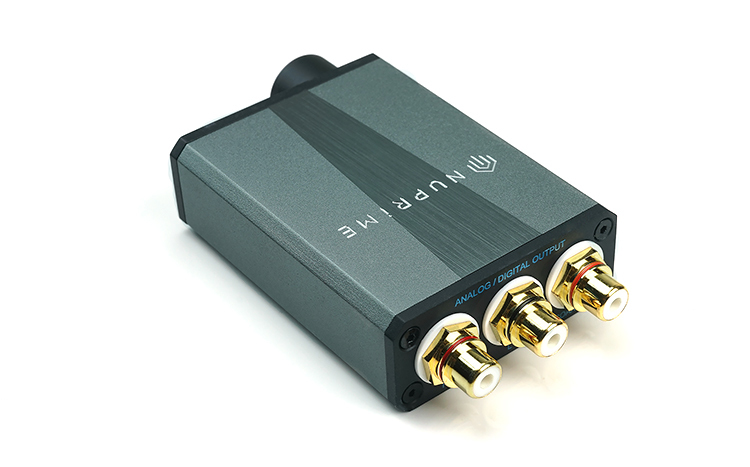 The uDSD is an all one compact size DAC/Amp for those looking for a neat and tidy solution for digital desktop audio. The key pitch here is versatility as well as the form factor. Unlike the current plethora of USB sticks, the uDSD is a little something more than that with coaxial and dual RCA outputs meaning that despite its size it can double up as a true desktop component unit for linking to much bigger amps as well as having its own built-in amp for headphone users. 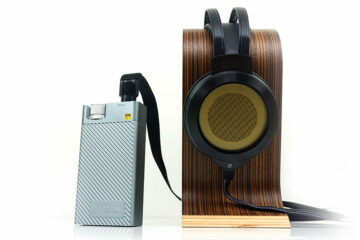 The uDSD will appeal to those with analog amps, active speakers, speaker systems, and of course headphones and IEMs. Primarily it is for digital audio users and of course those who have enjoyed using legacy units such as the older uDAC but want something more modern. The price point at $179 has fluctuated a little in the open market and I have seen it as low as $129. However, even the SRP is somewhat of a sweet spot for the uDSD and places it lower than the Oppo HA-2, Peachtree shift but a little higher than the FiiO budget line. 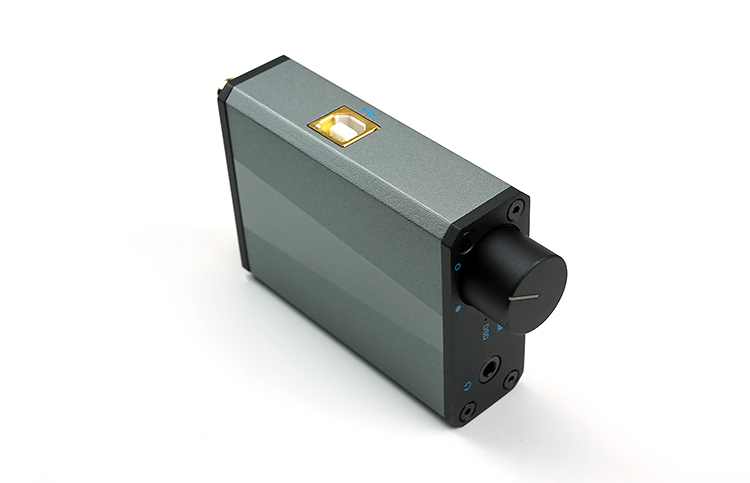 This may appeal to FiiO E10k and E17k users also looking for the next upgrade. 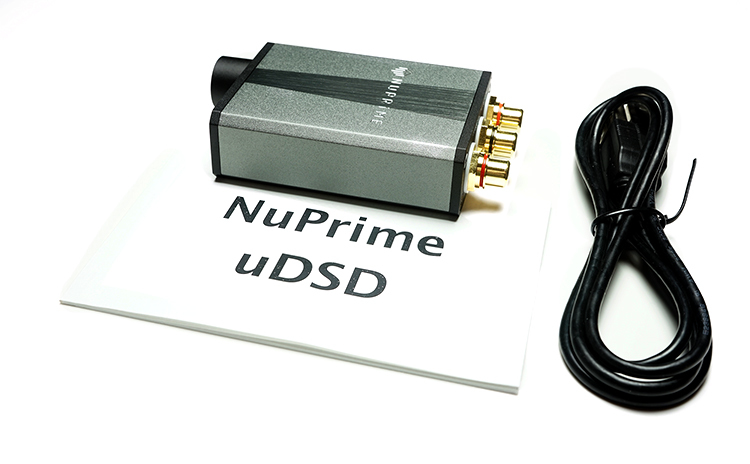 Currently NuPrime are also running a special deal of just $120 on the uDSD if you send in your old DAC to them – working or not. You will have to do the math if that will work out to your advantage but it does make everything very competitive indeed if it does. The uDSD is marginally bigger than say the FiiO E10k but it also has a much superior build quality and feels very solid in the hand despite its relatively small size. The uDSD measures 23 mm x 57 mm x 101.3 mm and weighs 100g compared to the similar weighted but much squatter uDAC5 (100g) which measures at 21mm x 45mm x 68mm. So it is not as wide as the older uDAC series from NuForce, slightly more elongated which means not all ports are to the rear. The USB port is actually on the left panel with the dual RCA and coaxial outputs on the read panel. Some might find the wiring location slightly awkward on an aesthetic level given it uses one of the larger USB-B jack ports so it tends to stick out a bit more than a micro-USB port. The material use though is outstanding. This is a solid aluminum alloy body with a sandblasted finish all around in a two-tone metallic gray and charcoal finish. It has an edged rather than a rounded plate curvature on both side and front panels but it is not particularly sharp, not on the Opus#3 level. All 3 outputs to the rear are gold plated in their finishing and nowhere in the body or by moving the outputs can I find any chassis flex. The design is finished with the NuPrime logo and name etched cleanly on the top plate. It does not, however, have any “feet” or blister pads to cushion it which I think would have been a valuable addition to the accessory kit given that this is being used primarily as a desktop solution. You can, of course, grab a pack of “feet” from your local DIY store fro a few bucks which I highly recommend to prevent scraps to your desktop or the uDSD. The uDSD has 4 outputs and 1 input. Input is primarily (and only) through a USB-B port connection on the left side of the device. It’s a slightly awkward position for aesthetics as USB-B cables tend to be fairly large and rigid at the socket point so cables will stick out a bit. The uDSD does come with a standard USB-A to USB-B 1m cable to get you started. To the rear are three gold-plated RCA analog and Coaxial digital output. The dual RCA will be used primarily for IC cables to connect to analog amps and active speakers using the internal DAC as to decode to an analog signal. The RCA outputs offer a reasonably decent 2Vrms (DAC out) on a fixed line level signal whereas the coaxial output includes an impressive DSD via DoP up to DSD 11.2MHz output. On the front, you have a fairly sturdy looking potentiometer which also doubles up as a resistance based on-/off switch for the uDSD. To the far right side, you have a single ended 3.5mm stereo jack output. In between, you have a small LED light which changes color denoting the current decoding of any track in either PCM or DSD mode. Inside the uDSD, NuPrime has opted to use an ES9010K2M chip which cheaper than the ES9018 range, though at the time in 2015 it would have had a more cutting edge appeal and certainly have helped to keep the costs, as well as the power consumption of the uDSD that bit lower. Being a Sabre chip you can expect excellent volume control, a reasonably clean and clear sound and something more neutral than warm. That being said I have met this chip before with the Peachtree Shift last year so, although not officially stated, we do know it is likely for the uDSD to be paired with an XMOS USB chip implementation. We also know it does possess an impressive and very capable level of decoding all the way up to and including 32-bit/384kHz PCM as well as DSD 2.8,5.6,11.2MHz Direct Stream Digital (aka DSD256). That is a little bit more ambitious than the Peachtree shift which hits the ceiling at DSD128. There is not a whole lot of concrete information on the amping stage apart from the numbers which are good in some areas and perhaps not as competitive in other areas. The uDSD runs at a 140mW x 2 into 32 ohms which, compared to the Peachtree Shift is marginally stronger. It also has a slightly strong analog RCA output at 2Vrms compared to the Shifts 1.8V. The uDSD headphone output is also not as strong as the Oppo HA-2SE but the line output is much better than the HA-2SE’s 1Vrms making it the superior component system at least on analog out. Dynamic range is a little lower than I would like at 98dB given budget DAC/Amps are targeting around 107-115dB or higher with Oppo’s use of the latest Sabre chips. A rating though of 112dB SNR should play out fine for headphone usage. Packaging and accessories are very basic with the uDSD. Perhaps as a consequence of hitting the sub-$200 price point something had to give and it was not going to be the product quality itself. The uDSD comes in a smart but understated plain white box, consistent with NuPrime’s other white retail box offerings. Inside you simply get the uDSD itself, a user manual and a USB-A to USB-B 1m cable to hook you and get the UDSD running. As mentioned I would love to see the addition of some sticky blister feet just to prevent accidental damage to the base during use. Apart from that, I can’t really think what else you could throw in without upping the price. Better this One than fiio A5 as a portable amp? Its not a portable amp, it requires a USB connection from a laptop or PC for power.